Cultural diversity lies at the heart of Little Rock, offering student travel groups an eye opening historical experience. This city clings to its past with pride, and student trips should feel privileged to visit monuments where some of the most important events in United States history occurred. Scattered among Victorian structures, modern architecture and natural beauty spread throughout the streets, giving student tour groups plenty to see and do in, as the French explorers called it, La Petit Roche. For many school trips, staying in budget is a large concern. But Little Rock offers many free attractions for student tours. Brimming with history, Central High School gained national attention during the Civil Rights Movement when nine African-American students were allowed into the school. Tour groups can visit the free museum located across the street from the school to see the interactive exhibit based on the event. 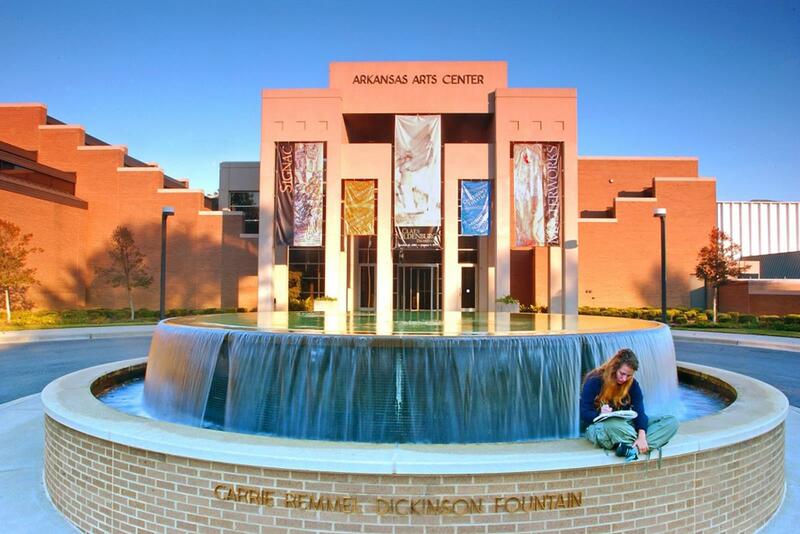 The Arkansas Arts Center near the River Market district is free to the public. Student tours can view the world-renowned art collection in the 42,000-square-foot museum. For something a little different, student tours can head to the MacArthur Museum of Arkansas Military History in the Tower Building, the birthplace of General Douglas MacArthur. Guided tours are available for field trips and can be formatted to fit your educational curriculum. Little Rock has the rare privilege of having two state capitol buildings—even though only one is official. Old State House, which served as the first state capitol building, is the oldest standing state capitol structure west of the Mississippi. It now houses a museum free for student tours to roam. The actual State Capitol offers free guided tours during the week, giving student trips a chance to admire the neoclassical architecture. 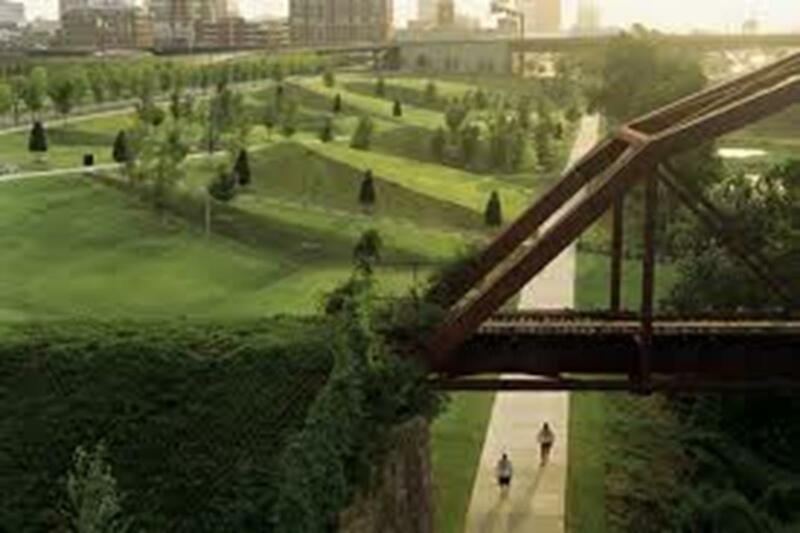 Little Rock is home to many famous faces, but one of the most well-known natives is former U.S. President Bill Clinton. He founded the William J. Clinton Presidential Center & Park, complete with a library and museum, the University of Arkansas Clinton School of Public Service, and the Clinton Presidential Foundation. Student tours can visit this architectural gem, which includes 20,000-square feet of exhibits and features replicas of the Oval Office and Cabinet Room. An attraction that should not be missed is the Aerospace Education Center. Since it opened in 1995, the museum has been an educational gold mine for teachers and students alike, offering inspired exhibits, workshops and programs. The EpiSphere, a digital dome theater, allows student tours to be fully immersed in the featured movies. Apart from old-style buildings and world-class museums, Little Rock is also a river city, nestled perfectly next to the Arkansas River. This means student travelers can enjoy a range of recreational outlets, a welcome retreat from the educational tours. 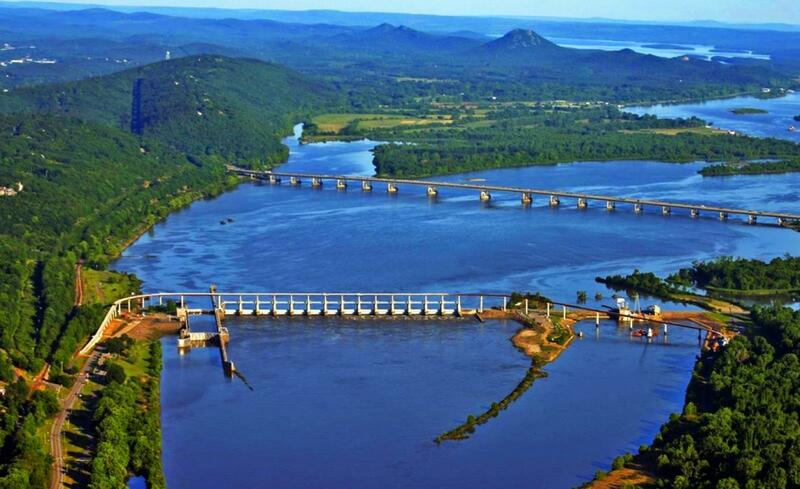 The Big Dam Bridge, the world’s longest pedestrian walkway, provides panoramic views of Little Rock. At Pinnacle Mountain State Park, adventurous student travel groups can scale the 1,000-foot peak while observing the diverse habitat of the area. And what trip to Little Rock would be complete without a visit to the rock itself? The city’s namesake lies at the end of Rock Street in the History Pavilion in Riverfront Park. The rock was used by early pioneers as a mark between the geographically level lands to the east and the mountainous terrain to the west. It also offered a convenient landing site for explorers coming in by boat. With so much to see, the best way to catch it all is to take a sightseeing tour. But not just any sightseeing tour will do. Take your school trip aboard “The Little Rock and Roll,” the famous bus of Little Rock Sightseeing Tours. Riders travel not only through the city, but also through time. At each historic sight, video footage shows how these landmarks became famous. Student travel groups of 15 or more can book private, customized tours. If wheels aren’t your desired mode of transportation, why not try a boat cruise instead? 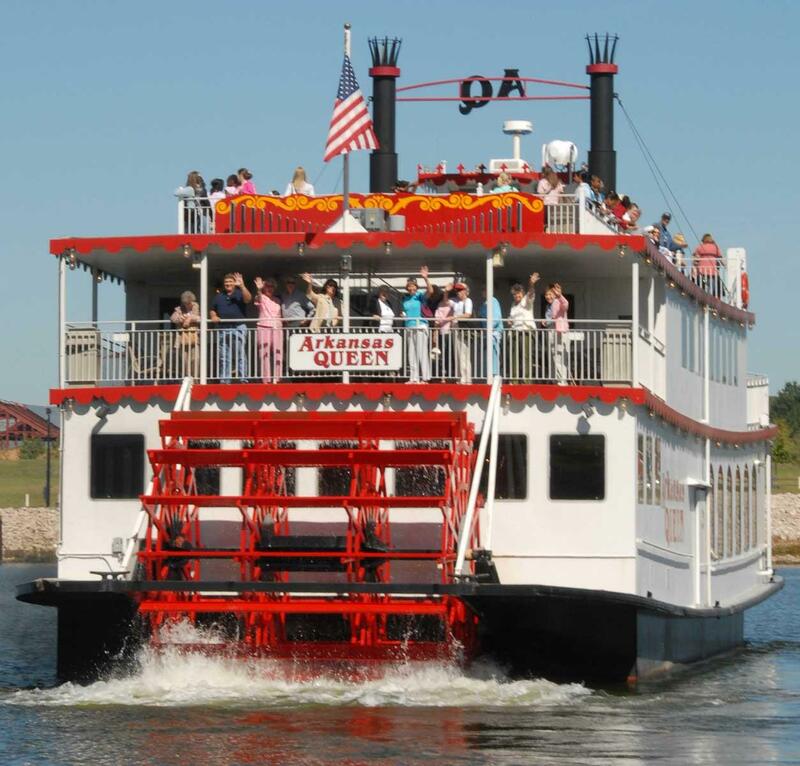 The Arkansas Queen riverboat has 90-minute tours that float student groups down the Arkansas River as they learn about the area’s rich history. Many student travel programs schedule shows at performance venues around the city, and Little Rock offers plenty of locations. Student performance groups can enjoy the great outdoors as they put on a show at one of Pinnacle Mountain’s pavilions. A couple other options for an outdoor show are River Market and Riverfront Amphitheater. The Market may have venues for smaller groups, while the amphitheater aims for a larger crowd. If you want to take the show indoors, you can rent out the Robinson Center performance hall, located near River Market. When it comes to food, Little Rock is known for three things: barbecue, catfish and Southern comfort food. And your student tour is in luck because there are a number of restaurants serving up each one of these delectable dishes. Chip’s Barbecue and Cross-Eyed Pig are popular destinations for good old-fashioned barbecue. Your crew is sure to dive into the smoky, tender meat covered in sweet sauce; just make sure you have plenty of napkins on hand. Flying Fish of Little Rock grills up fresh catfish everyday, but also offers plenty of other seafood selections. For heartwarming fare, take your student tour to David Family Kitchen. Soul food describes this restaurant’s menu perfectly, delivering ribs, mustard greens and sweet cornbread. With more than 6,000 rooms, Little Rock can certainly house your student travel group. Many chain locations downtown and near River Market, such as the Comfort Inn & Suites and La Quinta, are reasonably priced and offer convenient group amenities. Plus, these hotels keep your student tour close to some of the most popular Little Rock attractions. For slightly cheaper rates, you can reserve rooms at the Holiday Inn Airport East or Holiday Inn Airport Express, which both offer free shuttles into River Market. Little Rock represents a piece of American history that every student tour group can appreciate. From its beautiful, classic structures to its natural landscape, Little Rock is a perfect trip for students. Nestled in the heart of Wyoming’s farm and ranch country, Cheyenne inspires the soul of the West and invites student travelers to step back in time.